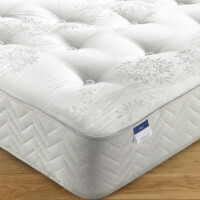 The Silentnight Amsterdam is their budget Ortho mattress from their popular Select Collection named after various cities. 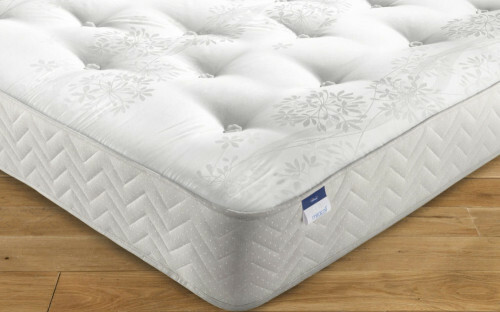 Orthopaedic firm mattress tend to be more costly but this certainly isn’t the case with the Amsterdam mattress which offers great value for money with Silentnight’s innovative Miracoil spring system that deliver unrivalled lower back support and pressure relief. The arrangement of Miracoil springs over the traditional open coil systems mean that movement on one side of the bed doesn’t disturb the other and you and your partner won’t find yourselves rolling together in the centre of the mattress often known as slumping. With firm Ortho miracoil springs that are nestled beneath a generous layer of EcoComfort Fibres, the padding on the Amsterdam mattress also gives hypoallergenic qualities adding to the health benefits of this orthopaedic mattress. It is coated with a woven damask cover which is highly durable and often found on cheaper mattress such as the Silentnight Amsterdam. You get a 5 year warranty to prove the confidence Silentnight have in their Miracoil technology and free next day delivery on this mattress as well as a free set of pillows to accompany it. This mattress doesn’t require turning although it can benefit from rotation from time to time. It is 26cm thick, far thicker than most mattresses of a similar price range which tends to be a strong indicator of quality. Another benefit of the Amsterdam mattress is that it features recycled materials so you can rest easy knowing that you’re doing your bit for the environment. Type: Firm, Hypoallergenic, Orthopaedic, Pocket Sprung, Miracoil. Be the first to review “Silentnight Amsterdam Ortho Miracoil Mattress Reviews” Click here to cancel reply.